Department of History of Religions, Stockholm University, Sweden. 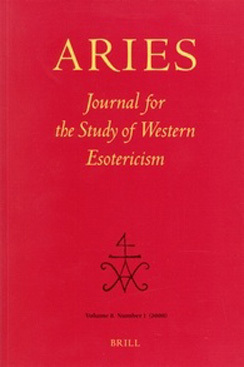 The academic study of Western esotericism has blossomed in recent years; University departments and MA programs have been established, book series and journals launched, academic societies founded, and several international conferences and panels are organized every year. There is, however, still a major gap in scholarship on esotericism: very little research exists on contemporary phenomena. While some present-day phenomena related to esotericism, such as ‘New Age spiritualities’ and (neo)paganism, have been the focus of scholars in other fields, scholars working in the field of esotericism have largely neglected such developments. With a focus on early modern phenomena, scholarship in the field of Western esotericism has been predominantly historiographical in its approach, with a common reluctance to incorporate social scientific approaches. In recent years, however, serious attempts have been made to develop sociological approaches to the study of the esoteric/occult which are both compatible with historical approaches and forgo the biased presumptions of yesteryear. A fundamental challenge for the study of contemporary esoteric phenomena is that it is not sufficient to simply transpose theories, definitions and methodologies developed for the study of, e.g., Renaissance magic to later manifestations of the esoteric. Studying contemporary phenomena poses intriguing possibilities, such as the opportunity to study esotericism in lived contexts, which unavoidably also introduce new problems. In general, several theoretical and methodological concerns need to be addressed if a proper study of contemporary esotericism is to succeed. The primary aim of this conference is to place contemporary phenomena on the agenda of the study of esotericism. Thus we welcome papers dealing with contemporary and recent developments in “classic” esoteric currents – e.g. within Theosophy, Anthroposophy, Freemasonry, Rosicrucianism, and ritual magical currents – as well as esoteric developments of particular relevance today – e.g. Chaos Magick, Satanism, and (neo)paganism. We also strongly encourage papers dealing with theoretical and methodological issues that are particularly pertinent to the study of contemporary esotericism, as well as papers dealing with the societal, cultural, political, religious etc. contexts of esotericism today. This can include discussions on the role played by the esoteric in modern politics (e.g. the new right), grassroots activism (e.g. deep ecology and the animal rights movement), science (e.g. parapsychology, neurotheology, “New Age physics”), healthcare (e.g. alternative medicine), popular culture (both entertainment media and in broader contexts such as kitsch, consumer, and fan culture), and modern interactive communications media (e.g. mediatization and the effects of changing modes of mediation), as well as the simultaneous influence of these and other fields on esoteric notions, beliefs, and practices. General theoretical discussion on the potential usefulness of sociological terms and concepts such as globalization, secularization, and the post-secular in the study of contemporary esotericism is also encouraged. The conference should function as an interdisciplinary meeting place where scholars from a multitude of disciplines and with different approaches and perspectives can come together to learn from each other. The conference will function as the launching party for Contemporary Esotericism (Equinox Publishing), the first volume specifically dedicated to the study of esotericism in the present day. In addition, the conference is arranged in conjunction with the 2012 EASR conference, also arranged in Stockholm, Sweden (at Södertörn University, August 23-26). 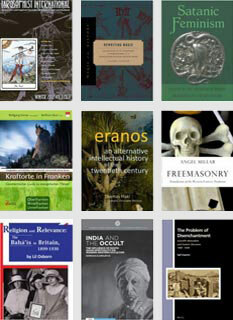 Panels on esotericism, both historical and contemporary, are planned for the EASR as well, thus providing the opportunity to engage in extended discussion on these subjects, and of course lessening travel expenses. A more detailed call for papers, including information on registration, conference fees, transportation, accommodation etc., will be sent out later. However, interested parties may send in their abstracts (approx. 200 words) along with a brief academic CV (max. 1 page) already at this early stage. Please send the documents to ContEso2012@gmail.com.